The United States is in the throes of a critical and contentious political campaign. The character of the nation is at stake as the effort to defeat President Barack Obama carries overtones of racism, and is flooded with money from unfettered corporate funding. What claims to be conservatism is really radicalism, bordering on anarchy. The outcome will determine whether society moves definitively to the right becoming a body of disparate individuals competing for the survival of the fittest – or whether it defines itself as a mutually interdependent society where all share responsibility in providing for the basic needs of its unprotected and neediest members. 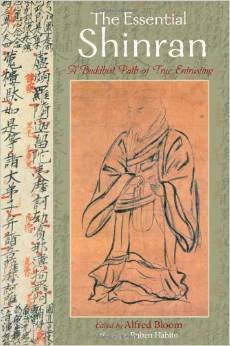 Buddhist teaching in all traditions highlights the interdependence of all aspects of reality. Each of us attains well-being when all others achieve it. We’re a net, with every node supporting and enabling all other nodes. For years, most Americans have believed in the safety net for all. Now, even this is threatened. Buddhists must make their voices heard in the marketplace of ideas and help to create and sustain a society where everyone can be assured a decent life with dignity and security. One area of particular concern is the contradictory thinking dominating recent debate over the health care law. No better illustration of this can be found than in the discussion of the mandate, which requires everyone to have health insurance. The party that initially supported it now opposes it because it was included in President Obama’s program. The original reason for creating the mandate was to prevent “deadbeats” and “freeloaders,” in line with Republican thinking about personal responsibility and the work ethic. Now, however, they oppose the mandate as coercive and unconstitutional because the government imposes the individual requirement with a penalty. In reality, its effect is to enlarge the shared risk pool. But, whether it’s a tax or a penalty under the commerce clause is semantics and irrelevant. The word “tax” has become a forbidden political term. Yet, in the mandate it only affects those who refuse to buy insurance when they’re able. Chief Justice Roberts simply indicated that it is constitutional if construed as a tax. It doesn’t mean that everyone across the board is taxed. The law reaffirms the interconnection and interdependence of all citizens in supporting the shared risk of insurance. It’s here that Buddhists can play a role by helping to make clear the principle behind the mandate and promoting a clearer understanding of government’s role in firmly establishing human dignity and security in receiving health care. Health care must be seen as a human right and part of the pursuit of happiness, a pillar principle of our society. 1) Remove 2 words from the Medicare Law (over 65) and give all Americans quality health care. 2) Abolish “Citizens United” and finally establish that corporations are not people. 3) Require all elections to be publicly funded. 4) Require that all US law is in alignment with the International Declaration of Human Rights.